All day long, solar panels installed on your Long Island roof capture energy from the sun. The system makes that energy available for use immediately. No byproducts or pollution is produced, and your power doesn’t have to travel across miles of power lines. Any energy produced but not used is sold to the power company for a profit. GreenLeaf encourages consumers to purchase their PV system rather than leasing it. This eliminates the monthly cost of renting solar equipment, which reduces the system’s impact on your energy savings and home value. Over the past 2 years both residential solar power, and commercial solar power has increased tremendously. 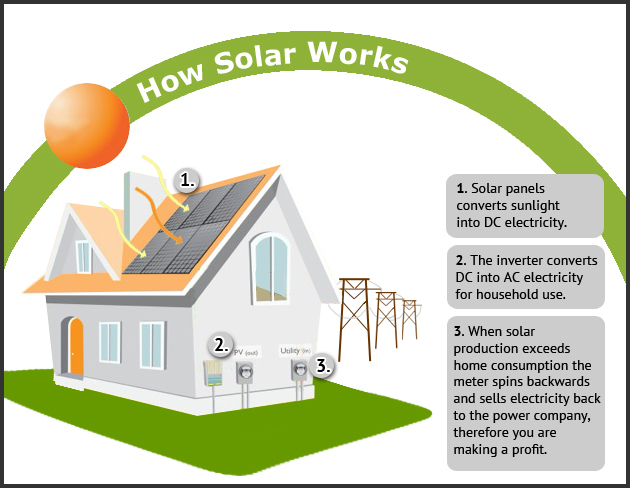 Residential and Solar Installations are usually depending on the size of the home or the business. If you’re looking to find out the average cost of solar panels, first call us at 1-844-GO-4-SOLAR (1-844-464-7652), and one of our solar experts will contact you right away to answer all of your questions and start preparing a quote for your Long Island solar panels, or fill out our fill out our form for a FREE Consultation.